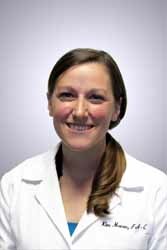 Kimberly Morin, Physician Assistant, joined Maryland Primary Care Physicians, LLC in 2013. She holds a Bachelor of Arts degree in Biology from McDaniel College. She received her Physician Assistant master’s degree from Salus University in Elkins Park, PA in 2013.